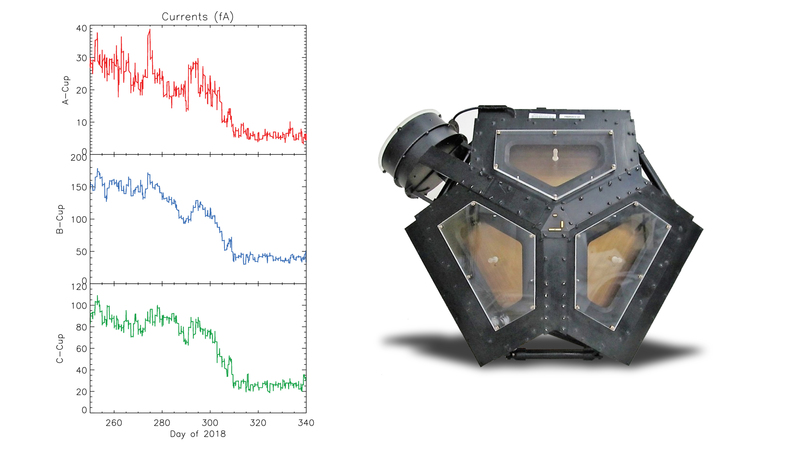 The set of graphs on the left illustrates the drop in electrical current detected in three directions by Voyager 2's plasma science experiment (PLS) to background levels. 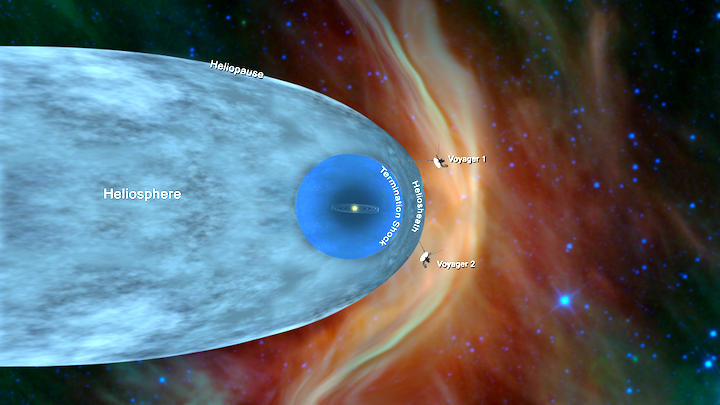 They are among the key pieces of data that show that Voyager 2 entered interstellar space in November 2018. NASA has engaged the Parkes telescope to support receiving this historic data from Voyager 2 while CDSCC is busy with communications for other deep space missions that are making their own important encounters during this period, such as New Horizons' flyby of the most distant object yet to be explored by a spacecraft, coming up on New Year's Day. Voyager 2 isn't able to record its data on board – it transmits it directly from the instruments back to Earth – making it essential to receive as much of this vital data as possible. CSIRO Chief Executive Dr Larry Marshall said CSIRO was here to solve the greatest challenges with science. "So we're proud to help NASA solve the scientific challenge of capturing this once in a lifetime opportunity as Voyager 2 ventures into interstellar space," Dr Marshall said. "Our team at Parkes has partnered with NASA on some of humanity's most momentous steps in space, including the landing of the Mars Rover Curiosity and, almost fifty years ago, the Apollo 11 Moon landing. "Our long-standing relationship with NASA stretches back more than 50 years, creating breakthrough solutions from science, and fuelled by our shared ambition to push the boundaries of exploration to benefit life back on Earth." "The Canberra Deep Space Communication Complex, which CSIRO operates on behalf of NASA, has been providing command, telemetry and control for the twin Voyager spacecraft since their launch in 1977," Dr Bock said. "NASA has engaged our 64-metre Parkes radio telescope to 'combine forces' with CDSCC's 70-metre antenna, Deep Space Station 43 (DSS43), to capture as much scientifically valuable data as possible during this critical period. "The Parkes telescope will be tracking Voyager 2 for 11 hours a day while the spacecraft is observable from Parkes. CDSCC's DSS43 will also track Voyager 2 for a number of hours both before and after Parkes, expanding the available observation time. "This is a highlight of CSIRO's decades' worth of experience operating large, complex spacecraft tracking and radio astronomy infrastructure." Voyager 1 crossed into interstellar space in 2012, while Voyager 2 has been on a different trajectory through our solar system. On its journey, Voyager 2 has famously flown past Jupiter (in 1979), Saturn (in 1981), Uranus (in 1986) and Neptune (in 1989), returning valuable images and data. The Parkes telescope is part of the Breakthrough Listen program, a global initiative to seek signs of technological signatures in the universe. CSIRO gratefully acknowledges the generous cooperation of the Breakthrough Initiatives in rescheduling time on the Parkes telescope to facilitate this exciting new science from the Voyager 2 spacecraft.